That only the two of us are here. Slowly absorbed by the City’s placid buildings. And picnicking on the moon. Like pyrosomes blazing under the deep blue sea. Our souls intertwined, exploring, becoming. We are pleased to announce that this is our 100th post for Drinkers with Writing Problems. This project was started by six people who wanted to practice the art of writing while giving each other support and feedback. Our mission has been to encourage each writer to go further and be accountable to meet certain personal goals each person has set. 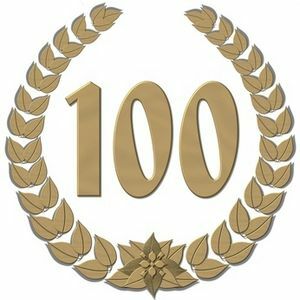 It is very exciting to be able to say that we’ve made it through our first 100 posts! Some future plans for DWWP is to add more depth to the website by sharing columns and events that will serve as a resource for other writers; to include a few new guest writers; and to produce a live literary show of some sort. We hope you’ll continue to follow us via facebook, twitter @DWWPChicago or simply subscribe to our blog. Thank you for your support! Generally I don’t learn post on blogs, but I would like to say that this write-up very compelled me to check out and do so! Your writing taste has been amazed me. Thanks, very nice post. Thank you! Much appreciated, hope you will continue reading.